Delectable stuffed eggs on mini soft rolls garnished arugula and red onion ring. Crumbed fried shrimp with red onion, cheese shreds, guacamole, sour cream and garnished with cilantro leaves. Spicy creamy fish paste rolled in wanton wrap, fried and served with sweet chili sauce. 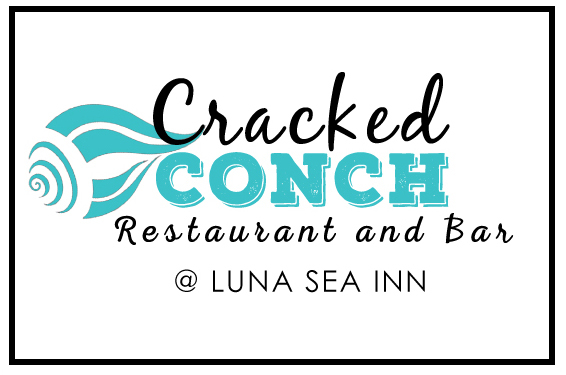 Local conch Seasoned and simmered to perfection in a coconut curry sauce. Served with Basmati Rice and Fresh Garden Salad. 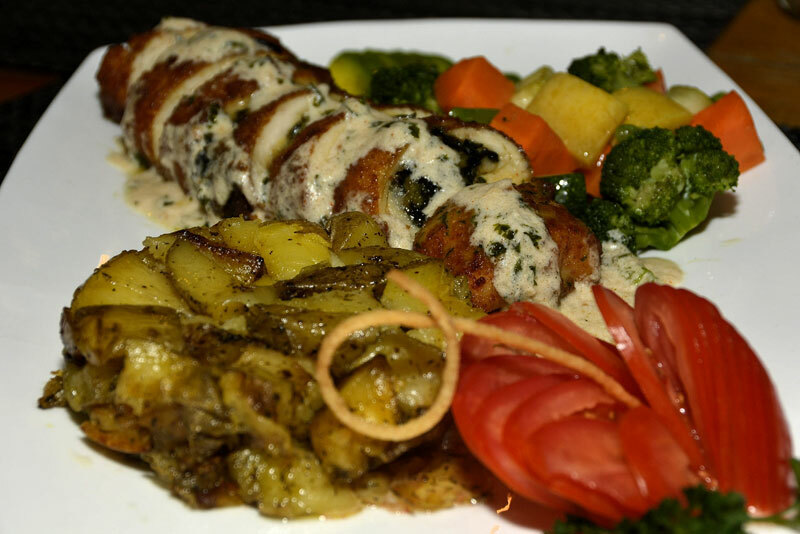 Succulent breast stuff with your fresh callaloo filling, served with herb roasted potatoes and steamed vegetables. Thin strips of beef cooked with onions, mushrooms, and seasonings, served in a sour-cream sauce on Pasta. Succulent breast stuff with your fresh calallo filling Served with Herb Roast Potato and steam vegetable.